Segmentation seems like a great idea, right? So why do so many companies fail to implement it successfully? 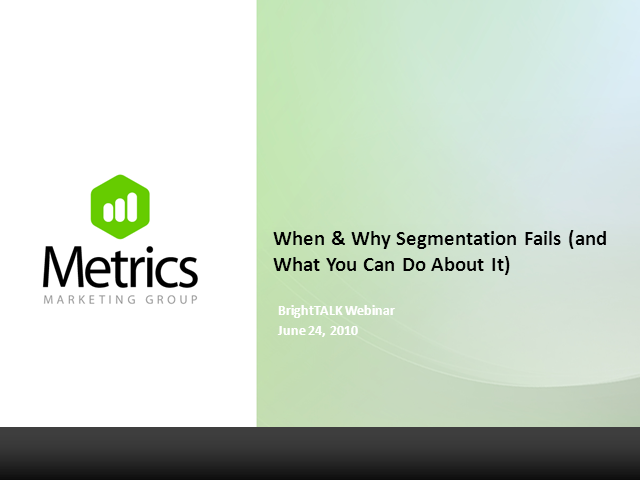 Find out “when and why segmentation fails” and what you can do to avoid being a casualty.